How deep have neo-nazi groups infiltrated the U.S. military and law enforcement? 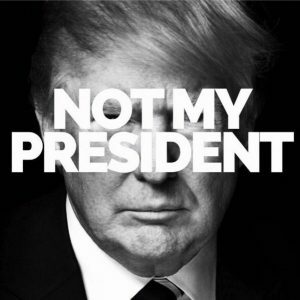 But what does “my president” mean? It’s true that, technically, trump took the oath of office in January, 2017, and is currently entitled to live and work in the White House. I suppose that makes him, legally, the president of the United States of America and, hence, of all Americans. But the phrase “my president” must ipso facto go far beyond the merely legal, if it is to have resonance. It must reach into zones of respect and even reverence. We used to have presidents whom even their political opponents respected. George Washington, “The Father of His Country,” “first in the hearts of his countrymen”; Abraham Lincoln, who saved the union; Franklin Delano Roosevelt, John F. Kennedy, and, yes, Ronald Reagan: presidents who bore the burden and glory of the office with dignity. They showed respect for others, and in turn received our respect. These were men we were proud to lead us. From the nation’s beginnings, the plan was to be led only by what John Adams called “good and wise men,” and for the most part, America has been lucky. We’ve had our share of duds: Millard Fillmore, Herbert Hoover, James Buchanan, Andrew Johnson, but these presidents failed, not by dint of bad moral character, but because of intellectual and leadership weaknesses. Never in America’s history has a president been widely perceived as being low and disreputable. Until now. I need not describe in detail the trough of moral disgrace into which trump has dragged the country. (In the wake of the death of George H.W. Bush, trump’s moral lapses are even more starkly distinct.) Everybody knows about trump’s bad character, except for the white nationalists who stubbornly remain in his shrinking base. I do so, not to taunt the rightwingers who insist that trump is my president (although taunting them does have its pleasures…). No, it’s to state a simple fact: I have no respect for the man. I do not recognize him as a leader, or as in inspiration, or good for my country. It’s true that, like a broken clock, trump occasionally stumbles into some effective law or policy. Any president necessarily does something constructive every once in a while (although I’m hard pressed to think of anything constructive trump has done). He has refused his Assent to Laws, the most wholesome and necessary for the public good. Think of all the laws trump has refused that would boost the public good: transgendered people in the military, for example, or effective laws to combat climate change (e.g. restricting coal mining and offshore oil drilling), to cite but two. He has refused for a long time, after such dissolutions, to cause others to be elected. This is reflected in the voter suppression laws he has caused his confederates in the States to enact. He has endeavoured to prevent the population of these States; for that purpose obstructing the Laws for Naturalization of Foreigners; refusing to pass others to encourage their migrations hither. This is related to the above: trump and his rightwing, white nationalist confederates are doing everything in their power to prevent people of color and legal immigrants from voting, and to obstruct the naturalization of foreigners. He has obstructed the Administration of Justice. This speaks for itself. Mueller will provide specifics. He has made Judges dependent on his Will alone. It’s not just Kavanaugh, it’s the hundreds of rightwing nationalists he’s nominated (and the Republican Senate has confirmed). For cutting off our Trade with all parts of the world. Whatever else the trump tariffs have done, it’s clear that our trade with the world is being choked off. He has excited domestic insurrections amongst us. Charlottesville is only one example among many. Armed white nationalist thugs are even now plotting the day of their rise, inspired and excited by trump’s dog whistles. I am no apologist for our current president. But let’s add some historical perspective, by proffering this article on other U.S. presidents who have been vilified. trump is not normal. Trumpism is not normal. This regime is comparable to nothing in our history, nor will anything in our future mitigate its horrors. Trump is a self-centered, narcissistic and vulgar individual. His behavior is unethical and immoral and possibly illegal. But owning slaves is a crime against humanity. Trump’s actions do not descend to that the level of abject revulsion.